Partly cloudy early then becoming cloudy and windy this afternoon. A stray shower or thunderstorm is possible. High 78F. 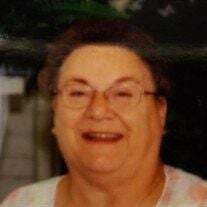 Winds S at 20 to 30 mph..
Suzanne “Sue” Reardanz (nee Martino), 74, of Essex, IL passed away Thursday, April 4, 2019 at Riverside Medical Center in Kankakee, IL. Born on December 8, 1944 in Blue Island, IL to the late Anthony and Bertha (nee Reed) Martino. She married Charles Reardanz on August 17, 1965 in Rock City, IA. She had a business degree and had been employed at Bear Brand Hosery & Coils Inc. For over ten years she also ran her own daycare and cared for many children in Essex as well as made homemade blankets for newborn babies at Riverside Medical Center. Sue was one of the state directors for Good Sam’s Camping Organization of Illinois and for fifteen years she was a driver for the Special Olympics Torch Run from Chicago to Bloomington. Sue was the treasurer for the Essex United Methodist Church, President of the Lady Lions, Member of the VFW and the Ladies Auxiliary American Legion. For ten years she volunteered at the food bank. She loved to garden and play BINGO, as well as participated with Santa’s Helpers. Surviving are her husband, Charles Reardanz of Essex, IL; children, Cindy Grohler of Essex, IL, Lana (John) Birr of Buckingham, IL, Brenda Voight of Miami, FL, Melody (Don) Gross of Winterhaven, FL, Dennis Reardanz of Detroit, TX and Pam (Fred) Phillips of Girard, KS; thirteen grandchildren; thirteen great-grandchildren; many brothers and sisters; as well as several nieces and nephews. She is preceded in death by her son, James Reardanz; and son-in-law, Fred Grohler. Funeral service was held following visitation at Essex United Methodist Church on Monday, April 8, 2019. Linda Michel officiated. Interment was in East Cemetery in Essex. In lieu of flowers memorial donations may be directed to the Essex United Methodist Church.